This is an explanation for the destruction of California. The facts can no longer be ignored! 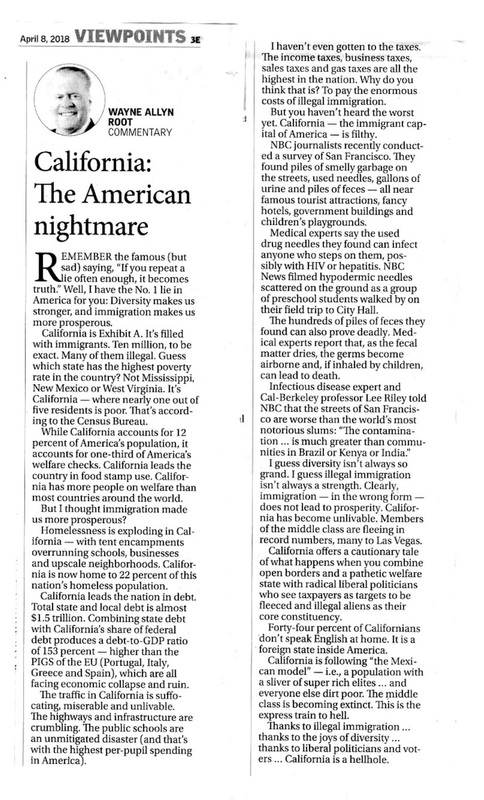 This entry was posted on 1/02/2019 03:30:00 AM and is filed under CALIFORNIA , FOOD STAMPS , Homeless , IMMIGRAtion , LIBERAL , LIBERALS ARE BRINGING US DOWN , MEXICO , TAXES , WELFARE . You can follow any responses to this entry through the RSS 2.0 feed. You can leave a response, or trackback from your own site.